une possibilité de rouler à vélo. Les images proviennent d’évenements de SGPSF. Consultez notre Facebook pour d’autres images. On peut retrouver ces vidéos sur youtube ou des points de presse. Assurez-vous de vérifier notre page YouTube pour davantage de vidéos. A fantastic video that explains what we're all about. Ben Sit of Highway to Health joins para-cycling legend Shelley Gautier and some of her friends in the Niagara region for a casual ride. 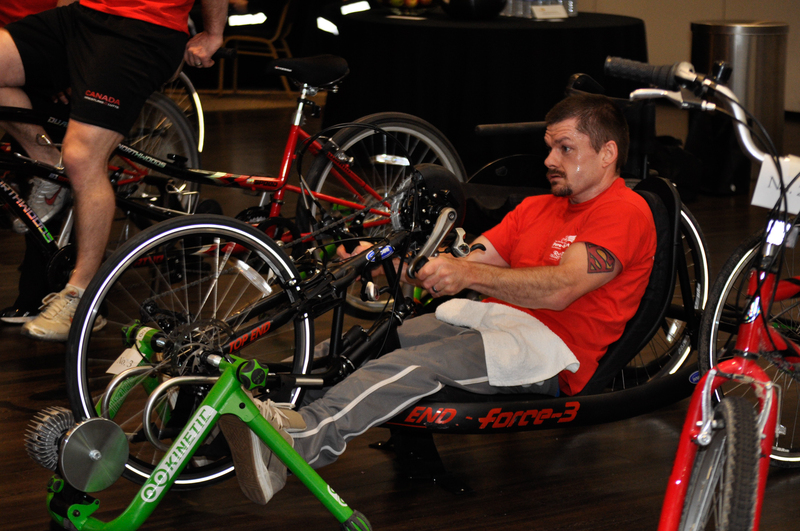 Ben learns about all of the important work that the Shelley Gautier Para-Sport Foundation is doing to remove barriers for people with disabilities cycle. Check out the video now by clicking play on the left! February 22, 2015 - An event dubbed ‘Try It On,’ is the first invite of its kind for the disabled and visually impaired who want to one day put rubber to the road for fun or maybe a medal around their neck. 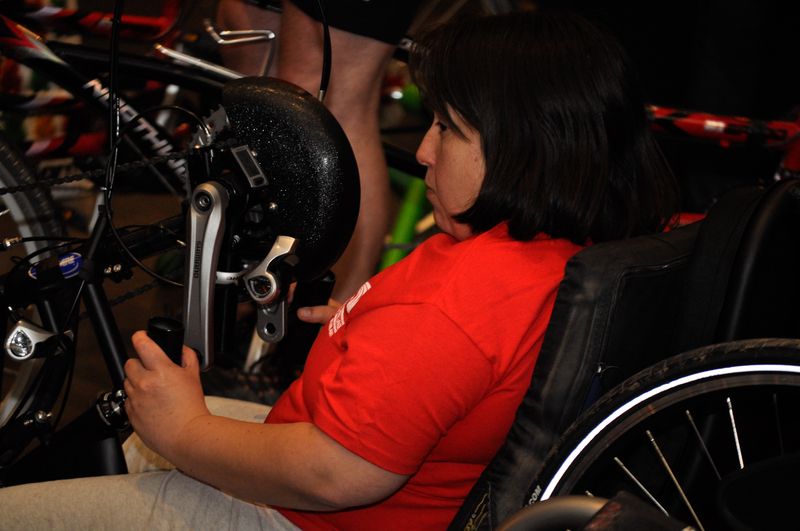 The Shelley Gautier Foundation along with the NCCH want to create a “feeder” system for para-sports in Canada. 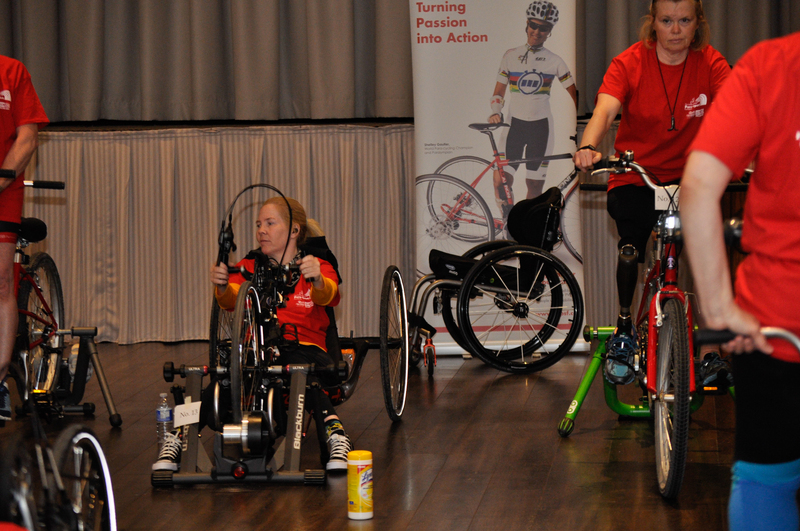 The cycling centre hopes events these boost awareness for all para-sports and provide a place for the natural camaraderie shared among the cyclists. Read more by visiting CHCH website. She will travel to Shanghi to find out if she is the winner of this prestegous award. Shelley is one of six Finalists for The Laureus World Sportsperson of the Year Award. To read more about her nomination please visit the Laureus website. 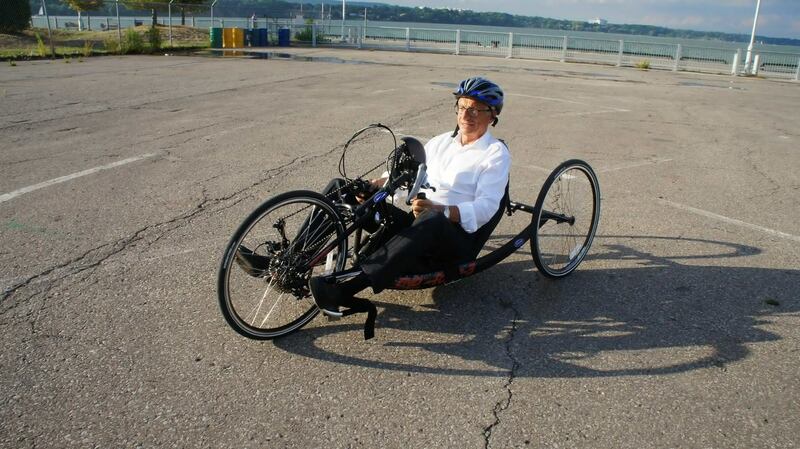 On a tricycle, Shelley Gautier (BPST 1995) is the world’s fastest woman. 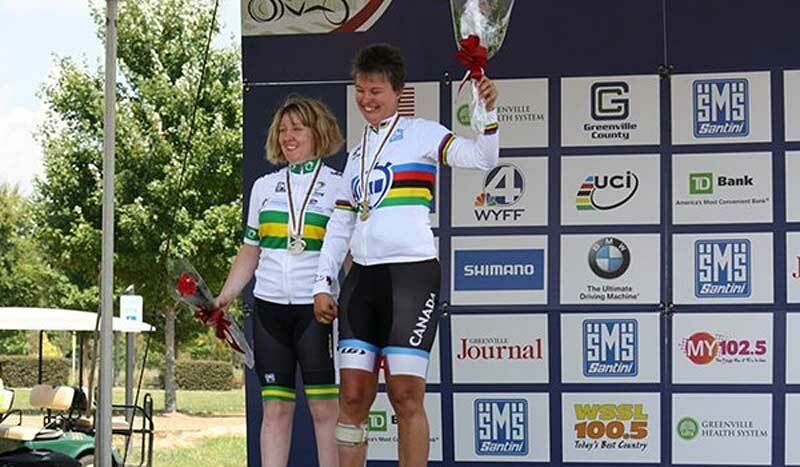 She’s a nine-time Paracycling Road World Champion (including the gold she won just last week in Switzerland). A silver medallist last time the Parapan Am Games were held, she’s going for the top of the podium when this year’s Games begin in Toronto. Read the full article that will appear in the U of T Magazine. 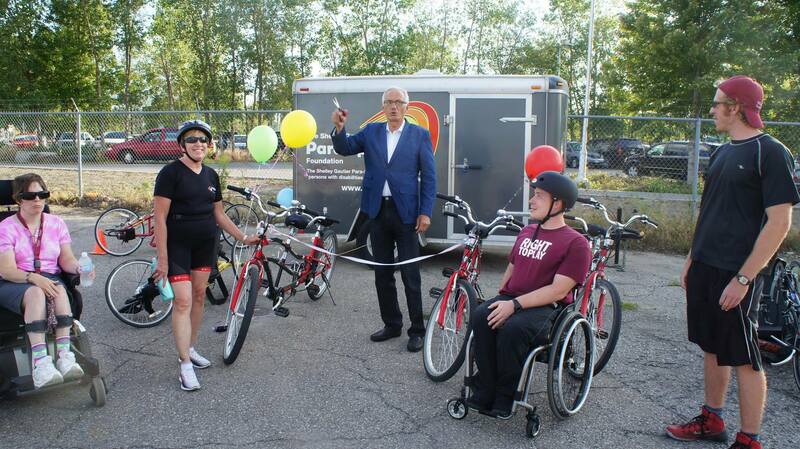 TO2015 Parapan Am Games Torch Relay. 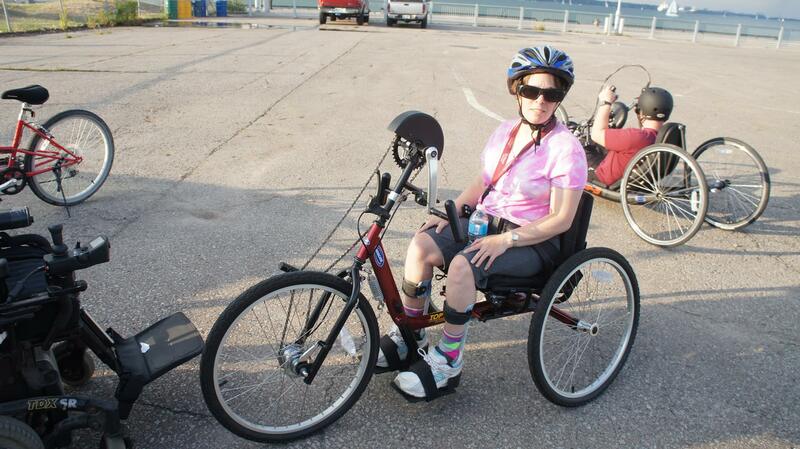 Watch Shelley and other para-athletes carry the Parapan Am Games torch for the TorchRelay through Oakville and Hamilton.